Needed some inspiration and not better place than heading to one of my favorite ships - Pohlar Fabrics, Liberty, Indiana! Just browsing and touching the fabrics, seeing the gorgeous quilts and kits! I did find some fabric that just seemed to call out to me (and on sale!). Fairy Frost by Michael Miller. Love the color and headed to the separating zippers to add some pizazz. Found a nice pink! The fabric is luscious and the zipper is going to make it stand out. 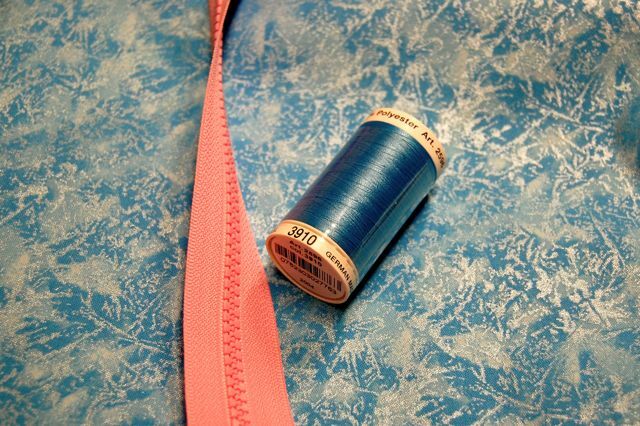 Soon this pile of fabric, thread, and zipper will become a vest for those "soon-to-come" spring months!